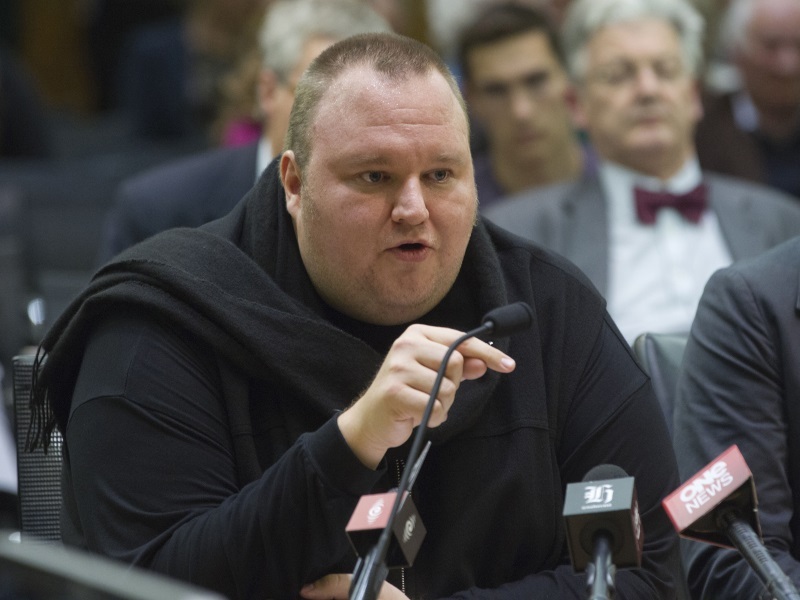 Prosecutors outlined their case against Kim Dotcom in a New Zealand court on Thursday, saying the core allegation against the Internet mogul accused of multi-million dollar online piracy was one of fraud. But barrister Christine Gordon, representing US authorities who want Dotcom deported to stand trial in America, said the accusations against Dotcom were not complicated. “In the long prelude to this hearing, much has been said about the novelty and technicality of the case,” Gordon told the Auckland District Court. The United States launched its bid to extradite Dotcom shortly after New Zealand police arrested him in January 2012 during a dramatic dawn raid on his Auckland mansion. Gordon said Megaupload, the now-defunct site at the heart of Dotcom’s online empire, was part of a scheme to steal copyright-protected material. “The respondents took part in a conspiracy,” she said. An FBI indictment alleges Megaupload netted more than $175 million (roughly Rs. 1,157 crores) in criminal proceeds and cost copyright owners $500 million-plus (roughly Rs. 3,308 crores) by offering pirated content. Dotcom, a German national who moved to New Zealand in 2010, denies any wrongdoing, saying he is a legitimate Internet entrepreneur. The 41-year-old and his three co-accused ex-Megaupload executives Finn Batato, Mathias Ortmann, and Bram van der Kolk face charges including fraud, racketeering and money laundering. They risk jail terms of up to 20 years if convicted in a US court. But first the Auckland court needs to decide if there is sufficient evidence to extradite the men to the United States. The extradition hearing expected to last at least three weeks will resume on Friday.